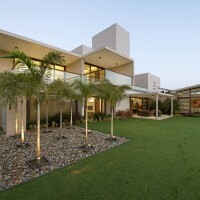 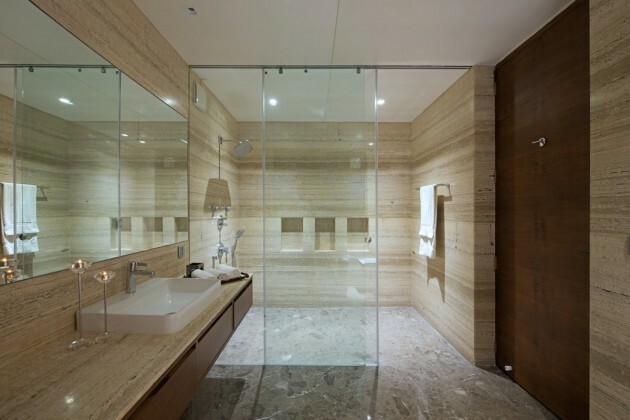 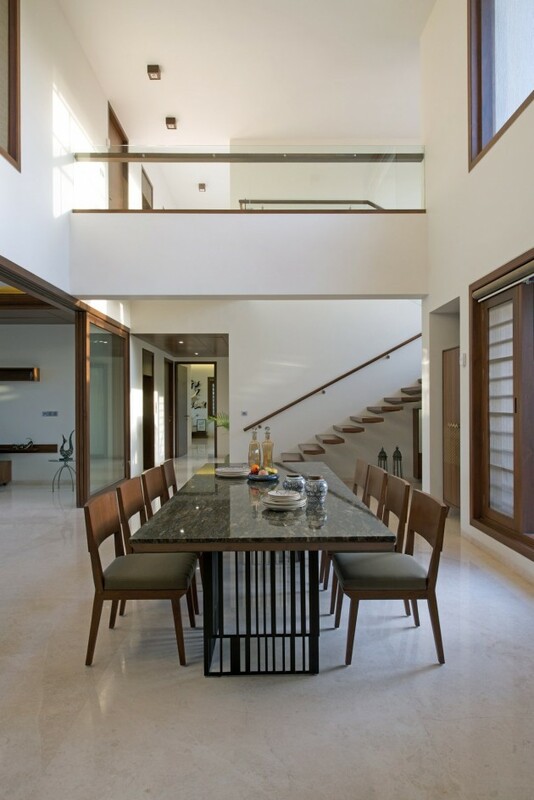 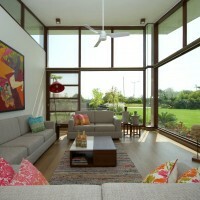 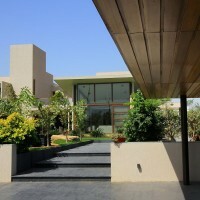 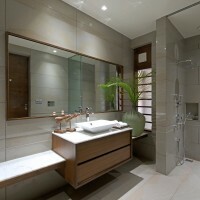 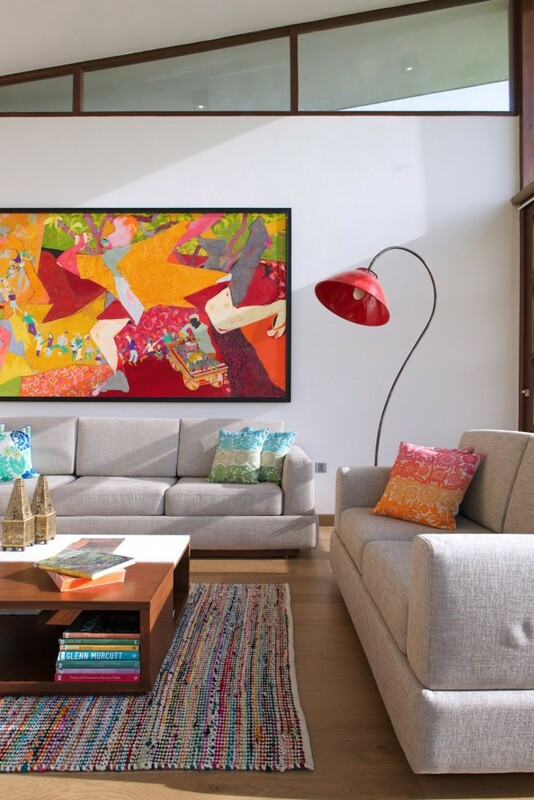 Hiren Patel Architects have designed a home in Ahmedabad, Gujarat, India. 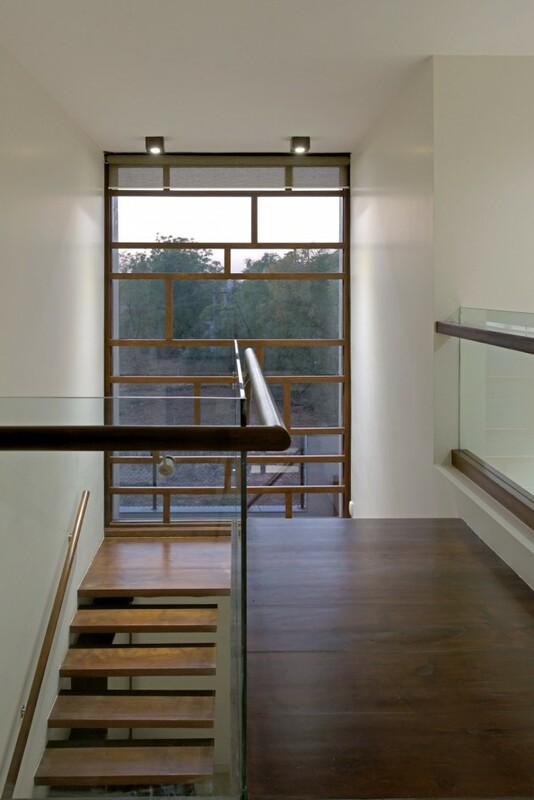 This house is based on the ideology of form follows function. 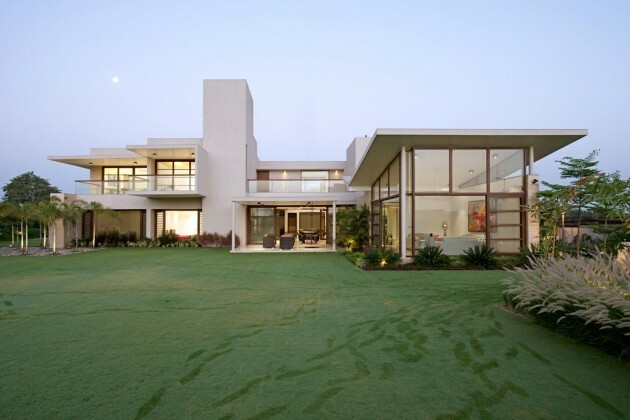 It is seen reflected in the sharp lines, which forms the characteristic language of the house. 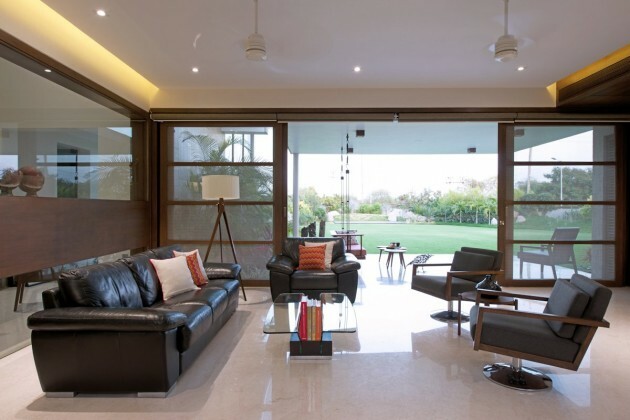 The entrance porch faces north which leads into a double height foyer, that is further connected to the family living and formal drawing room. 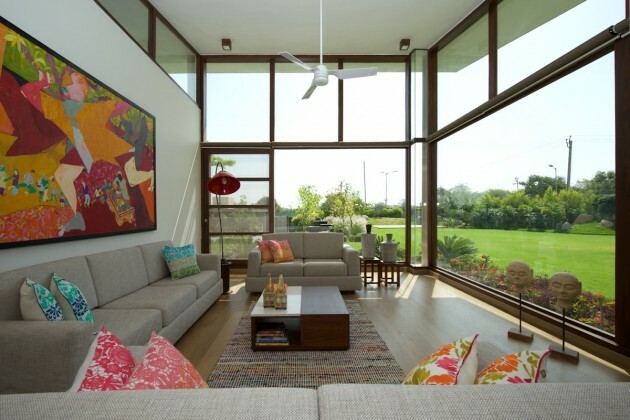 The bedrooms, multipurpose room, dining room and kitchen open into a central space which is the family living room. 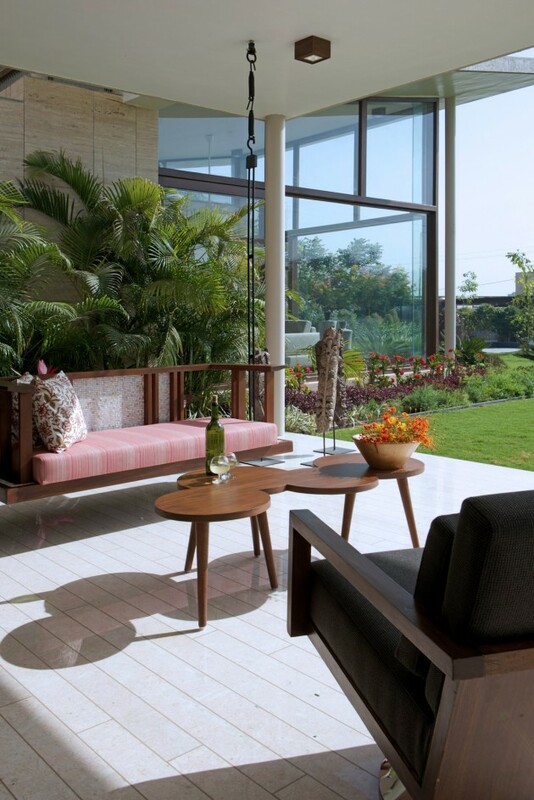 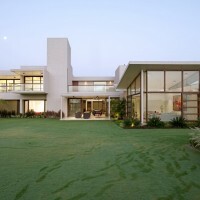 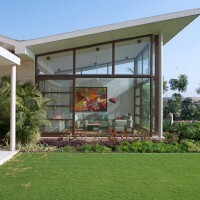 The verandah visually connects the family living to the drawing room and serves as a transept between the private space of the family living and the surrounding lawns. 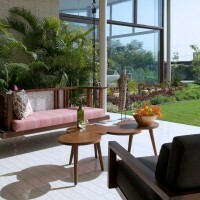 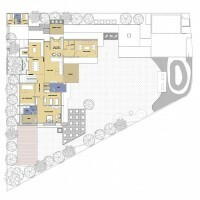 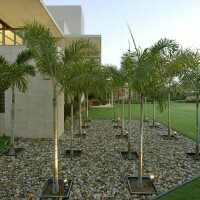 The first floor consists of the master and parent’s bedroom as well as a terrace garden and verandah. 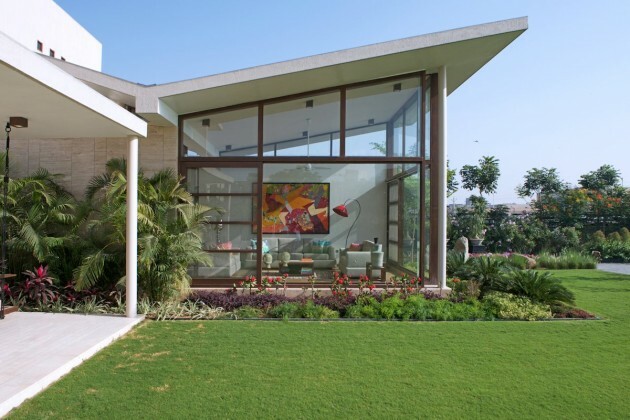 The use of glass walls facing the east side literally brings the surrounding landscape into the adjoining spaces. 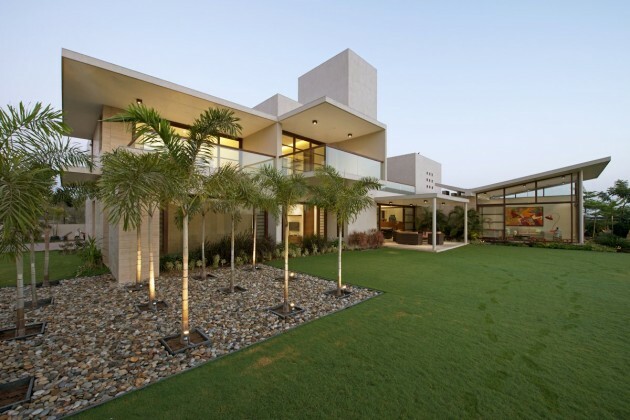 The blending of nature with the crisp contemporary form of the building helps to soften the look of this majestic house, lending it a very urban look. 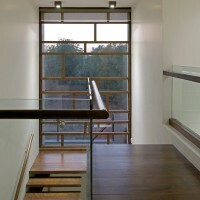 Thus the name : The Urbane House. 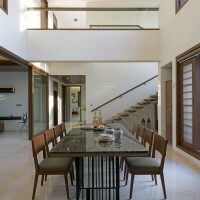 The interiors blend well with the overall language of the house. 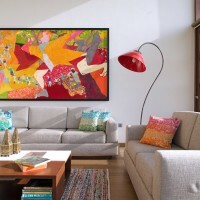 A lot of art work has been installed that helps break the monotony of the concrete frame.